Get the RG GN 00 Raiser if you want a RG. MGs are too expensive and all the HG versions i've seen are kinda meh,so.. The Zaku II F2 is a great kit. It's pretty well articulated, and has a ton of accessories. It's a slight variation of the normal design, but unless you're a diehard classic Zaku fan the difference isn't huge. Just a few extra angles or ridges, here and there. 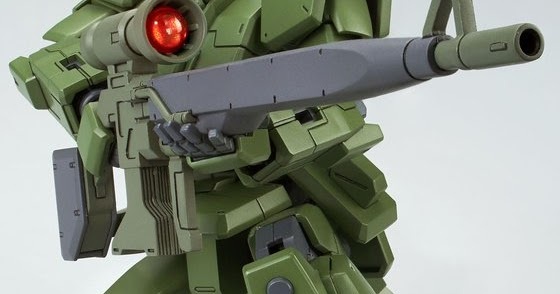 New P-Bandai announced. HG GM Sniper I. Based off the recent GM Ground Type kit. since the hip joints are the main issue, maybe try sanding them if they have trouble going in? If you remember the Discord chat, I talked about this about a week ago. Is it fragile at all? 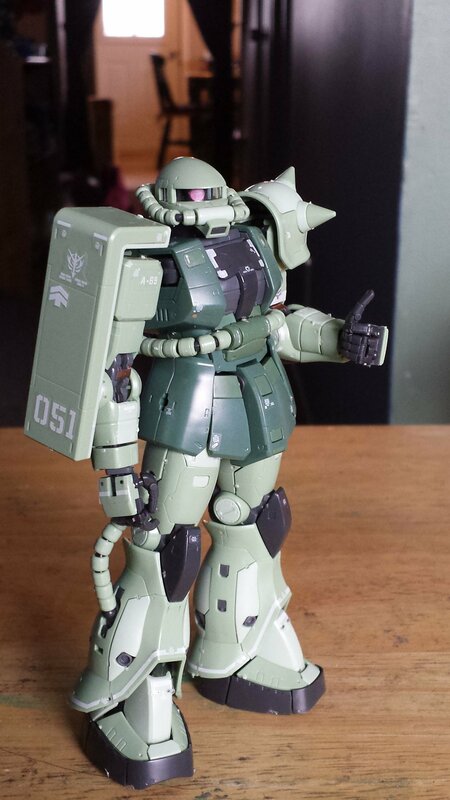 I had a Zaku RG and it had no hip problems at all. and suddenly the joint is stuck exclusively in the pose you glue it. When exactly are you supposed to paint it? My first time painting I primed, painted, and top coated each individual piece in batches after cutting it off from the tree and sanding it. I was wondering if their was another way to do it and if I was doing it wrong. What part in the process? It usually comes after every physical modification you make. By physical modification what do you mean? Do you mean like cutting the piece off the tree?